Their time spent on the field only enticed them more. Between hours of practice and game time, Steve Pondeca, winger and finance sophomore, and Alex Dimitriu, midfielder and business management sophomore, wanted to share their passion for soccer through private clinics with local children to earn a small income from their love of the sport while strengthening skills in the youth. Empire Development is a youth development program that charges $5 an hour for private clinics teaching students how to play soccer. There is not an age requirement for students. The clinics typically last from an hour to two hours at a time and are aimed at improving each child’s skills individually. Both players said their passions for soccer have started early on in their lives. Dimitriu is from Toronto, Canada and has been playing soccer since he was around four years old. Pondeca is from Dallas, Texas, and has been playing since he was 14 years old. Despite being from two different ends of North America, the two friends and business partners said they met at Niagara University. According to Dimitriu, it was through knowing Pondeca that he found out about this university. Pondeca planted the seed for Empire Development when working for Select FC, a local independent soccer club in Wichita Falls. According to Pondeca, the coach of the team he was assisting put him in charge of training while the coach was working full-time in Dallas. “[The coaching job] didn’t work out because the parents were used to the way [the coach] was running it, and I completely changed things to the way I wanted to do things. But then I had a few of the parents come up to me and say that they liked what I was doing,” Pondeca said. Some parents noticed how he played at the MSU soccer games and were encouraged to bring their children to his trainings. It wasn’t until August of 2017 that he said he was inspired to put his brand on his clinics. Like many businesses, Empire Development started with a low number of customers. 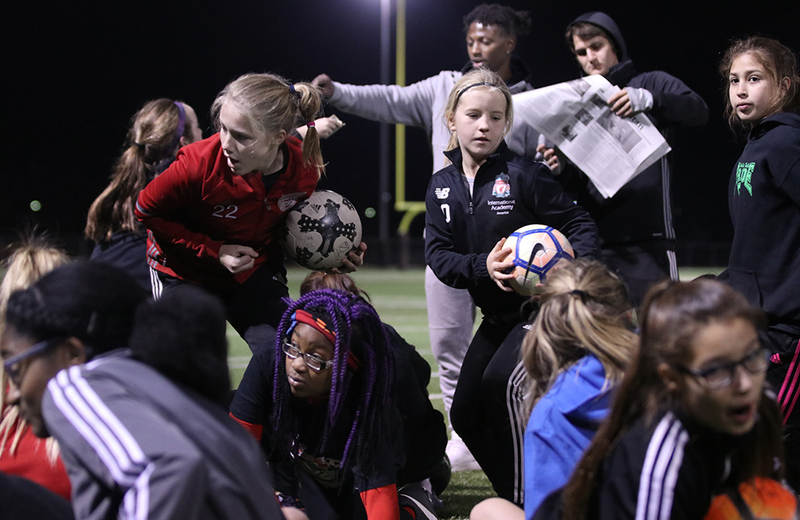 “When we first started out, we were there with three or four girls and we were there [training] for an hour and a half to two hours,” Dimitriu said. According to Dimitriu, from a financial standpoint, a $5 charge is significantly less than what major clinics are charging in bigger metropolitan areas, such as Dallas. What distinguishes them from other coaches, aside from the cost of the clinic, is their emphasis on development rather than winning. 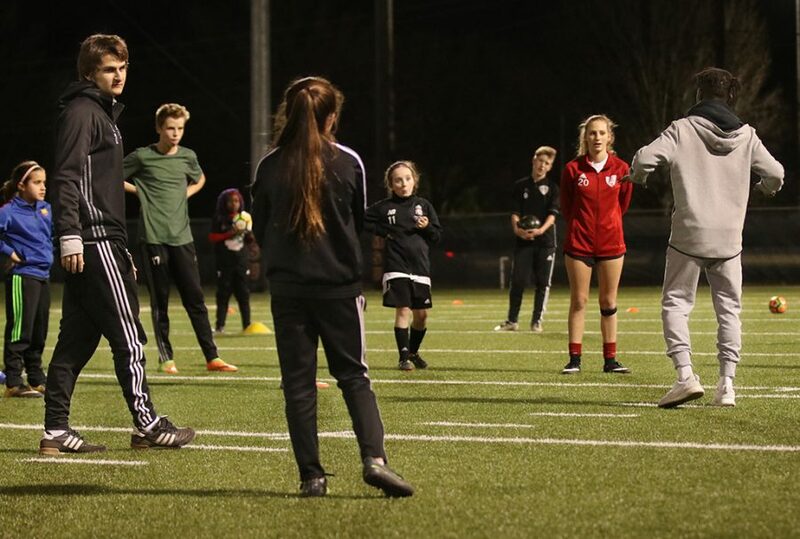 “Why you win with us is because we know what worked along our development… You’re [other coaches] pushing children in the completely wrong direction. They are motivated by winning and not the game,” Dimitriu said. Pondeca and Dimitriu said because they are playing soccer for the university, they have a passion for the sport that is transferable to their clinics, while other coaches have no experience playing the sport for a professional team. “It’s like a fat doctor trying to tell you how to eat right,” Pondeca said. When discussing the future of Empire Development, Pondeca said he hopes to expand his business to reach out to all of the kids in Wichita Falls. Pondeca also said that he hopes to give other athletes on campus an opportunity for work through Empire Development. 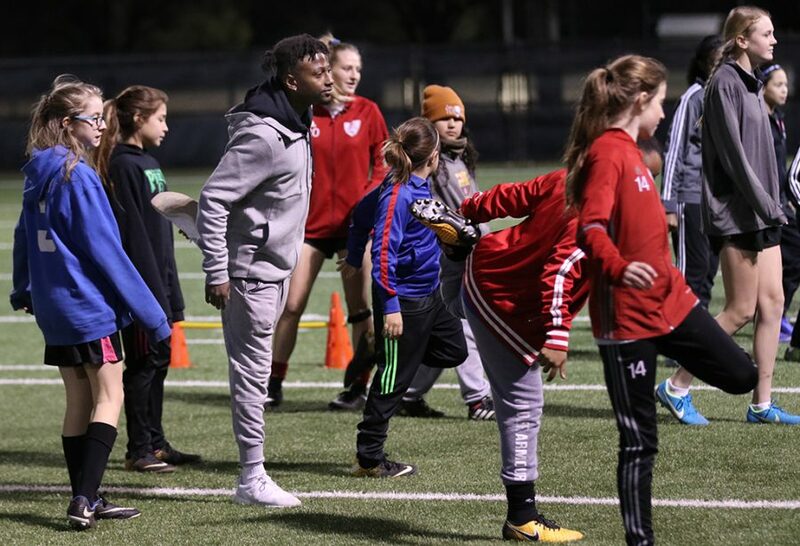 As for the ultimate goal of the business, Pondeca said he hopes for Empire Development to be a major player in youth development in Wichita Falls. “I want Empire Development to be the face of youth development in Wichita Falls,” Pondeca said.